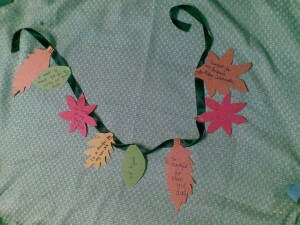 Here’s a beautiful Thanksgiving Fall leaves garland to decorate your home this Thanksgiving. 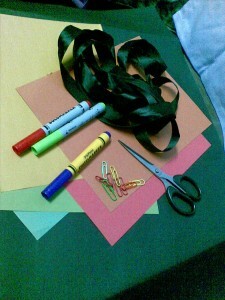 What’s even better is that its a very meaningful craft to do , and will help you remember all that you’re thankful for. Its something your whole family can do together. So have fun doing it!! 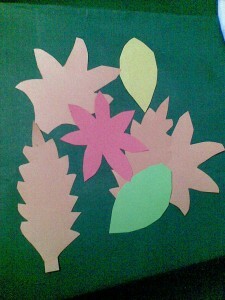 Distribute the leaves among all the members of your family . 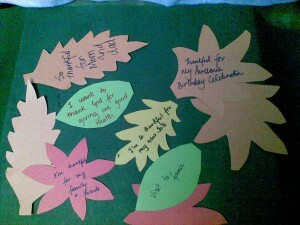 get each person to write something they’re thankful for. 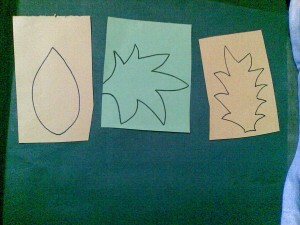 Hang it somewhere where you can see it and be reminded of all your blessings.